Viral marketing is something of an enigma, even among many seasoned marketing agencies. It can be orchestrated or accidental, paid or organic. The virality can come from successfully hitting the right target, or it can be due to unintentional hilarity. For the purposes of online marketing, however, you don’t want to focus energy on what you can’t control. So what are the tangible, actionable ways you can encourage your content to become viral? 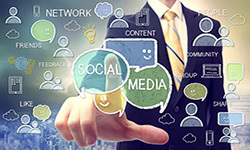 Since the advent of social media, the marketing landscape has changed completely. Where television and radio once ruled, internet marketing has outstripped them by leaps and bounds. Today, consumers are more likely to seek information online before they go anywhere else, and the average person spends hours every week on social media networks like Facebook and Instagram. The game is, as they say, afoot. In order to keep in step, it’s important to understand the medium. All too often, companies are under the mistaken impression that social media marketing means creating an account, throwing up some pictures and information about sales, and calling it a day. Not only is this example ineffective, it can actually be damaging to your brand. Consumers of the internet era require two things: authenticity and interesting or beneficial content. These things require time, effort, and strategy on the part of your marketing team. If you don’t have a dedicated department that can invest that time, you’ll find online marketing a steep mountain to climb. The first step is in understanding what makes quality viral marketing. One of the go-to tactics of knowledgeable marketers is link baiting — the practice of creating appealing content that encourages sharing. This sort of content can come in many forms. Many sites use listicles, infographics, eye-catching images, humor, controversial topics, and other similar attention-grabbing content. Consider for a moment the type of articles that catch your interest and get you to click. What about them sticks out to you? If you can create interesting, easily-digestible, informative, entertaining, or breaking news style content, you’re on the right track. You’ll also notice that the most successful sites — Buzzfeed and Upworthy are excellent examples — have mastered the art of drawing people in with a gripping headline. These are the headlines that create a sense of intrigue and urgency, inspiring people to follow to get the full story. They’re also known as “clickbait.” If you see a headline along the lines of “He Proposed to Her in Central Park and You’ll Never Believe What Happened Next,” you know it hooks people in. The trick is keeping them on the page once they click, which means you have to deliver on the headline’s promise. If you can do that, you’ve struck social sharing gold. Not sure you have the in-house manpower to spare on this sort of marketing effort? No problem. You can find skilled social media consulting and creative online marketing through Zentiv. With over 13 years in the business, we’re well-versed on what makes online users click, stick, and buy. Don’t waste time and effort throwing out lines and hoping someone bites. We’ll help you choose the best bait. In the ever revolving door that is social media, it seems there are updates to social channels on a daily basis. Following is a list of social channel features that we have highlighted for you including Facebook, Twitter, YouTube, and Yelp. Facebook has launched a “Feed Quality Panel” that has surveyed over a thousand people to elaborate on their social experience and give feedback to enhance user experience. Facebook has released new metrics for video, which allows the creator to see how long a viewer actually viewed the video and how many people watched the 10 second view option. Twitter’s timeline change is designed to allow users to view top and relevant tweets while the user was away from their timeline for an extended period of time. Twitter also made adding GIFs substantially easier, which is great for people who don’t know how to create a GIF. Yelp and Sprinklr have joined forces which allows for full-text reviews, analytics and insights to businesses who are on Yelp. YouTube added a blur feature back in 2012 so users can blur out anyone’s face who didn’t approve of being in the video. Now YouTube has expanded upon the concept and you can now blur out logos and objects. We offer a variety of social media services, being experts in the digital world we are here for all of your social needs. Contact us today! Today we have a guest post and infographic for you from the multi-talented Ivan Serrano about how you can amplify your content! Take it away, Ivan. Seven out of ten consumers prefer custom content because it is tailored to their interests. Good content is a major reason consumers follow brands on social media. While creating quality content is definitely important, the problem is that every brand is doing the same thing. If you’re just expecting to earn a huge following simply by creating a blog entry or white paper, you’ll be in for a rude awakening. With so much new content available to consumers on a daily basis, if you don’t promote it, there’s no way anyone will ever find it. From there, you can and should utilize different avenues of paid media like Facebook ads or Twitter’s Promoted Tweets so you can reach a wider audience. The best part is that these paid social ads allow you to pinpoint your amplification strategy to exactly the right people, who ultimately will help build your community. The infographic below provides more information on how to amplify your content properly, the questions you should ask yourself when creating your content and the tools to find influencers (click to enlarge). It may be 2015, but several small to mid-size (and even major) businesses are still having trouble parsing out their social media marketing. From trying to hop on every rising new trend to posting ineffectively, there are so many ways to totally whiff it on social media. If you decide SMO is a direction you want to take with your business, there are several pitfalls you’re going to want to avoid. Here are some of the social media mistakes you’re still making and what to do to fix them. Not having a specific goal. Too many businesses get in on social media because they need to stake out their property, and then poke at it for a while before giving up entirely. These mediums have a very casual, conversational air about them, so maybe you’re not taking them seriously. If you’re going to commit, you need to decide what you want out of your social media – sales? traffic? signups? exposure? – and formulate a strategy to make it happen. Spreading yourself too thin. With all the shiny new properties available these days, you may be tempted to create an account on every site you can find. Twitter, Facebook, Google+, Instagram, Pinterest, YouTube, Vine, Tumblr… let’s do it ALL! Unless you have a dedicated social media manager, you’re going to end up abandoning a lot of those properties. Sit down and decide which mediums will work best for your business, and select a few to focus on. Refusing to spend a dime on advertising. For a long time, social media was considered “free” advertising. These days, most of the major companies have shareholders to consider, so they’ve changed their algorithms to favor businesses that shill out for their ads. If you’re hoping you can continue to gain traction without paying, you’re mistaken. Here’s the good news: social media marketing is still relatively inexpensive when compared to other forms of advertising while also remaining highly targeted. Learn the guidelines, create a budget, and start boosting! Facebook is driving significant referrals, so don’t discount it. Not having a direction or using an editorial calendar. If you’re still relying on silly-but-irrelevant posts for your user interaction, you have a problem. Don’t wing it. Tying back around to having a specific goal in mind, craft your content and posting schedule to effectively reach that goal. Planning ahead creates less work in the long run and allows for a QC check. Handing the responsibility over to someone who can’t make it a priority. In the past, many companies handed the keys to Facebook and Twitter over to an intern or made it a tacked-on responsibility of another employee. Unsurprisingly, this led to a fair few nationally publicized egg-on-face incidents. Your social media marketing plan should be treated like any other advertising responsibility – it should go to a dedicated individual who can pay it its proper due. If you wouldn’t let someone handle your print or email campaigns, don’t let them handle social media. Not creating a social media policy. It’s absolutely essential to create a social media policy that dictates how your business will be represented online. This isn’t something you can leave up to chance. Sit down and clearly decide what is and isn’t appropriate to post, the language to be used, the policy for dealing with irate customers on a public page, etc. By following these tips, you’ll be ahead of the curve with your social media (or at least caught up). The most important thing to remember is to take SMO marketing just as seriously as you’d take any other advertising or marketing endeavor, and dedicate the appropriate resources in order to see results! For more information, contact us here at Zenergy Works anytime. There’s a constant dilemma that comes up when you’re working with marketing and sales: how do you do business and sell your product or service without coming across as a smarmy salesman? In this age of online research and savvy consumers, you’ll get called out for inauthenticity in a heartbeat. It seems like there’s always someone goofing up with their online properties – from promoting their own irrelevant book during remembrance holidays to the latest social media meltdown. The internet never forgets, and it rarely forgives. It comes down to this: in order to run a successful business, sales are part of the package, and you can’t make sales without, you know, trying to make sales. But what do you do when potential customers hate your ads, no matter what you try? How do you make your way into conversation without it being about how horrible your marketing is? What can you do to help people view your business in a positive light? This is often where we see a lot of disconnect in marketing, particularly social media marketing. Many business owners expect to pump out marketing and watch the sales roll in with minimal effort and no additional attention paid to ad creative or strategy. For small and medium-sized businesses that can’t afford their own advertising department, it can be extraordinarily difficult to create campaigns that hit on the right level. It’s simpler and more affordable to throw up copies of the print ads on Facebook and hope someone sees it. A key factor in breaking out of the mold of yet-another-business-on-Facebook is the ability to give your company a human voice. This is so much easier said than done. You hear the advice over and over again – talk like a person, not a robot. Connect with your users. Incorporate personality. But that advice can be frustratingly vague and unhelpful. Really, what all of these recommendations are aiming at is to try and get you to find that humanity in your business. Don’t tell people they should buy the thing. Show them why the thing is useful to their life. Connect on the human level. Will this make their life better? Improve their relationships? Connect them to loved ones? We don’t want to say “find your angle,” because this shouldn’t be about finding an angle. This should be about discovering the heart of your business in a way that people can respond to. So think about it. It’s okay to try to make sales, but also try to make connections. Consider what makes YOU want to purchase a product and apply it to your own marketing. Remember that many of the best businesses don’t forget their humanity. Stephanie Wargin is the Social Media Strategist at Zenergy Works, a web design and SEO company located in Santa Rosa, California. Her friends like to brush her hair into her eyes whenever she talks about Facebook. We’re only a few scant weeks into Instagram’s very limited first run of advertisements. The popular visual media site introduced ads from select vendors, and they’ve been very careful with their approach. Similarly to Tumblr and Twitter, the social site is attempting to create a more “natural” advertising experience by including these images directly in users’ feeds, rather that requiring them to follow the advertiser. The results have been… unsurprising. It seems no matter what approach companies take, many users loathe advertisements on principle. When they see the now-familiar “Sponsored” stamp, they rebel. It doesn’t matter whether they already follow the brand, whether they love the brand, or whether the ad is exceptionally well done. It’s an ad, and it’s in their previously ad-free space. They don’t want it there. It’s an interesting conundrum. Instagram has intentionally hand-picked specific advertisers who they feel are already members of the community, who have substantial followings that they built on merit and the quality of their offerings. Their goal is very much in line with Tumblr’s approach – they want to use the culture of the community they built to provide the most natural, unobtrusive experience possible for their users while also monetizing in order to create a successful business model. Tumblr does it with GIFs, and now Instagram’s doing it with high-quality photography. The first official advertisement, a Michael Kors image that can be viewed here, seems like it should be an absolute no-brainer. It’s creative, simple, high-quality, and is completely in line with Instagram’s theme. It’s a photo the company posted to their own profile, which is already followed by 1.4 million users. The only difference is that pesky “Sponsored” stamp, and the fact that it’s showing up for users who aren’t necessarily following the brand. But, as the article I linked earlier astutely points out, although the commenters are largely negative nellies, the amount of positive user interaction (hearts/likes, in this case) skyrocketed. As of this posting, 230,000+ users have liked the photo, which is many times more than the business’ average post. So, what does this tell us? Unfortunately, without access to the analytics of the advertisement (particularly the negative feedback left by utilizing the “Report Inappropriate” option), it’s difficult to say what the effect of the advertisement truly is, and whether the positive outweighed the negative. However, I’d wager that it did. This is the constant struggle with social media and online advertising – the public views these as “free” spaces, and they buck against the idea that they must put up with advertising in their “personal” space. No matter what you do, someone isn’t going to be happy about it. However, the approach is becoming ever-smarter. Going the route of cultivation, creativity, and niche targeting is the next stage in advertisement. Visual media is always becoming more relevant to search engines, particularly with regards to sharability, which is often tied to quality. Users will never enjoy being advertised to, but we can at least aim to be interesting, engaging, and relevant. Just because it IS an ad doesn’t mean it has to FEEL like an ad. Gone are the days of the low-quality SALE! SALE! SALE! ads. The future is now. What do you think of this experiment in native advertising? Have you noticed duplicate listings for your business on Facebook? You may have a page that you manage, but you’ve also noticed that there’s a “Facebook Place” with your address where people are checking in and Liking that location instead of your business page. How can you merge the two so that all the interaction is going to the same place? Here’s how. Ensure that you are an Admin (or “Manager”) of your Facebook Business or Brand Page. Be logged in to your PERSONAL account. You should be “using Facebook” as yourself, not your business. Also, here’s a quick explanation of Places vs Pages: a “Page” is what was formally known as a “Fan Page.” It looks like a Facebook profile page and is typically created and moderated by the business itself. A “Place” is a location people use to check in, and anyone can create one from their mobile device. This may result in multiple instances of the same location. Now, here’s how you merge them. From here, you’ll go through a quick walkthrough to claim the page. Here’s the first panel. Again, make sure you are an Admin of your brand page, then check the “I am an official representative” box and continue. This step is important! You’re going to verify your page info. Make sure you list all of your publicly accessible, accurate information. Facebook needs to verify that you are attempting to claim a business you actually represent, so this information should closely match that of the Place you are attempting to claim. The last frame is the verification for claiming your page. You have the option of doing this verification through email, phone number, or documentation. I’ll be using email, but you can use whatever suits you. Then you should get a nifty little “Claim Request” notification. You should receive a notification email pretty quickly letting you know your claim request has been received and is being processed. Now it’s just a waiting game. Like the notification says, this request could take some time. Usually it’s done sooner rather than later, especially if you were sure to verify the business information exactly. Once you’ve received approval for your claim, you will now be the admin of that Place page. If needed, go into your admin settings (“Edit Page” > “Edit Settings”) and update your address, business name, phone number, etc. to exactly match your primary business page. Save the changes. From your Settings list, select “Merge Pages,” which is located toward the bottom of the list of Settings. Remember, in order to properly merge pages, you must be a manager-level administrator of BOTH pages. That means you must wait for your notification from Facebook that you’ve been approved for the page you tried to claim. After clicking on “Merge Pages,” you should have the ability to merge similar pages you’re the admin of. You can select the “Request to merge duplicate Pages” link from here. First, we recommend you read the provided information. After that, you should see a check box indicating you have done so. Check it. A dropdown menu will come up asking you to select the page you want to keep. This is important! Select your primary brand page from the dropdown. Next, you’ll see a second check box indicating you’ve read the information about merged pages being about the same thing. Check the box. Now you’ll see another group of drop downs. You can select up to five other pages you want to merge with your primary page, which is convenient if you’re dealing with multiple duplicates. This is where you will select the Places location you just claimed. Pages you merge will disappear as they become one with your primary page, so make sure you’re choosing correctly. That’s it! You should be all set. The Place will be merged into your primary business page. Be aware that there are occasionally bugs in Facebook’s system that cause issues with this process, but if all is well, this should work just fine.